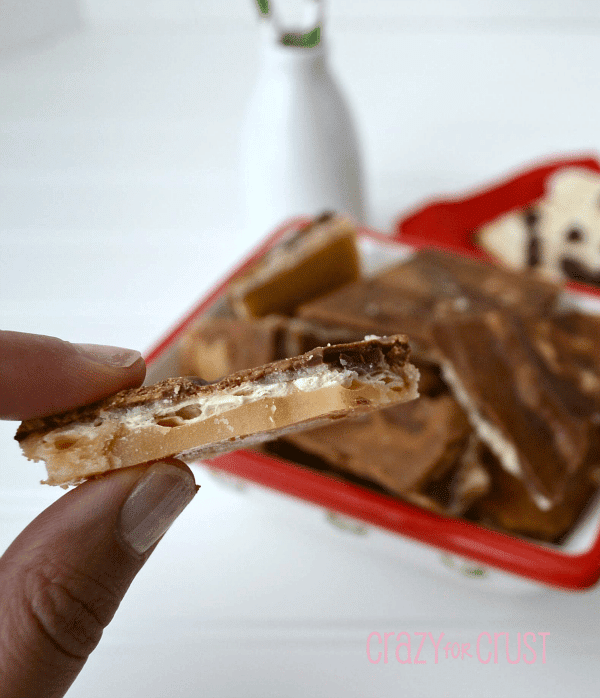 Magic Bar Bark: so easy a kid can make it! Bark is my favorite thing to make at Christmas. Why? It’s easy. In fact, it’s so easy, a kid can do it. Jordan loves making bark. She invented and made the Oreo Peppermint Bark you all loved so much, and I know you’re going to love this version too. 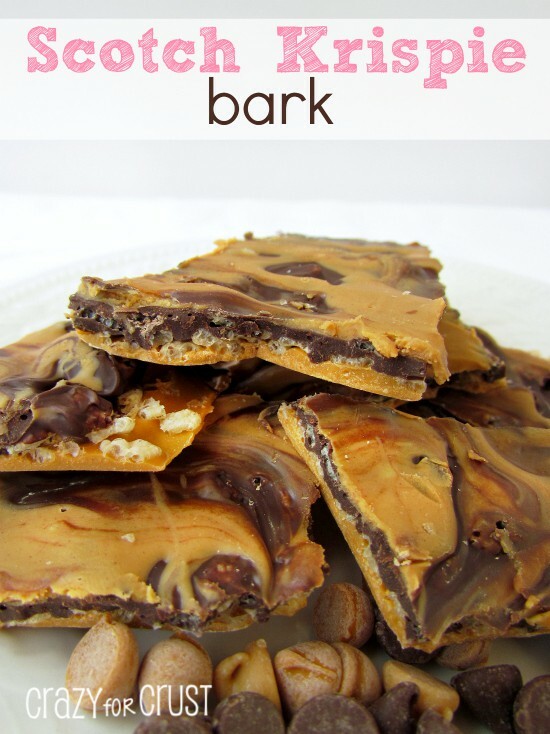 Magic Bar Bark. 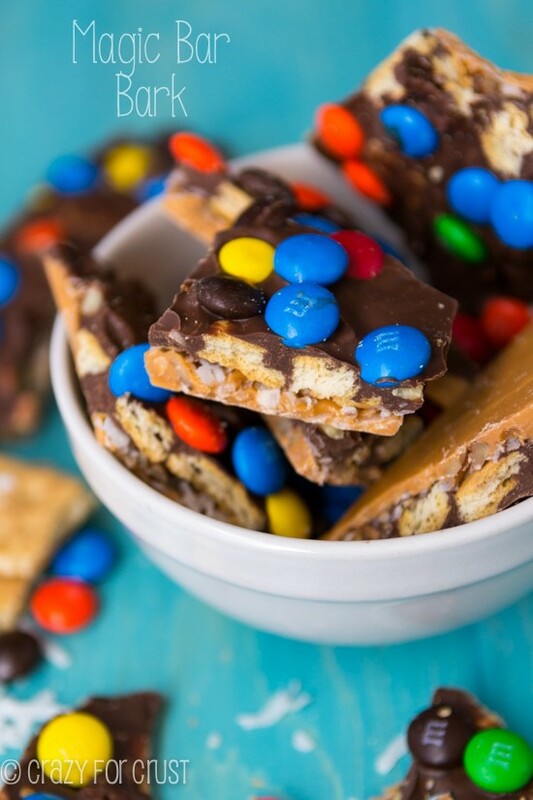 You know, like a seven-layer bar. But it’s bark. So it’s no-bake. And it comes together even faster than regular magic bars! You know the layers of a traditional magic bar, right? Graham crackers, coconut, nuts, chocolate, butterscotch, sweetened condensed milk. These bars have all of that, sans the milk. These bars are amazing. An 8-year old made them. And she blogged about them. On her new Samsung Chromebook from Staples. As if an iPad (which is a family iPad but she uses 90% of the time) and an iPod (solely hers) wasn’t enough, now my third grader needs her own computer. If I were to tweet this, I would use the hashtag #firstworldproblems. She gets homework she has to do online. Math quizzes she has to take, then depending on her score, she has to print out a worksheet. She also needs do play specific math games found on her school website occasionally, as assigned by her teacher and then “turned in” through a website the teacher monitors. None of that works on the iPad. She can’t use my husband’s computer; it’s a work one. Plus, he’s not always home at homework time. When Staples asked if I’d review the Samsung Chromebook, I jumped at the chance because I knew it would be a perfect computer for Jordan to use (and for me to steal when we go on vacation). The Chromebook is light, and the perfect size for Jordan. She can carry it around easily, unlike the huge clunky old laptop she was using (the one that would always refuse to connect to the internet). As you would probably guess, Chromebooks run Google Chrome. In fact, the entire computer runs on Google. It’s all web-based, but if you have a google account it’s super easy. One click and you go to the internet, using Google Chrome. Another click gets you to Google Docs, where you can work just like on a regular computer, but it’s saved to the web. I love using Google Docs, and I use them all the time on my regular computer. It’s like a free, web-based version of Word. And you can share documents too. 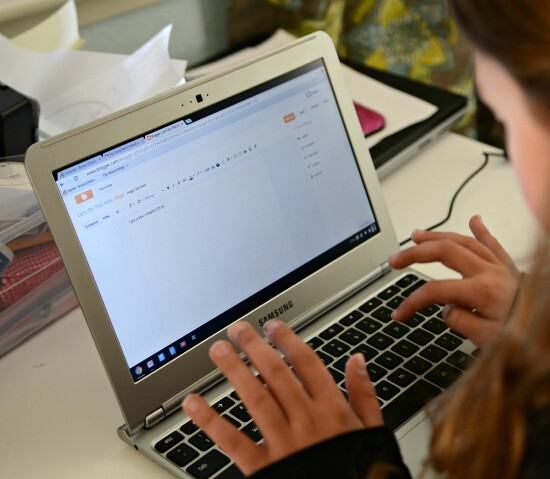 When Jordan does her homework or types up a blog post, I can share it with my Google account if I want, and I can go in and read it from my computer. Did you know you can set up web-based printing? This computer won’t work if you plug a regular printer into it, but if you have a printer set up on another computer in the house, you can set it up for printing from the Cloud. 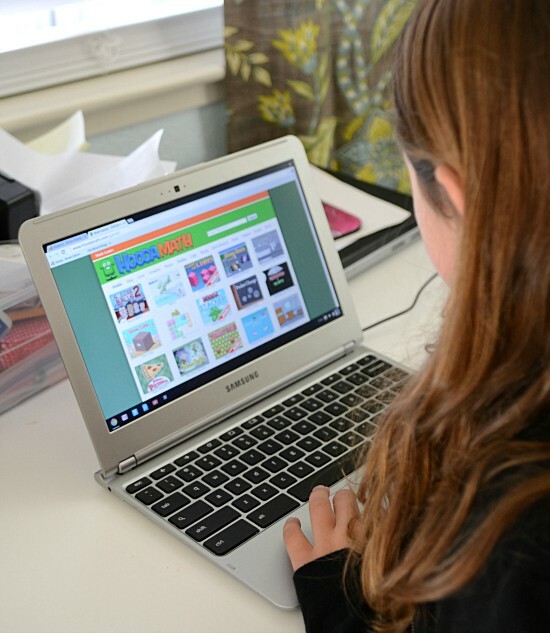 I love that all her web-based homework programs work perfectly on the Samsung Chromebook. I don’t have to worry if the drivers will be supported, like they never were in the iPad and often even had trouble on my mac. The Chromebook doesn’t have much memory; it’s made for web-based activity. But there are USB ports, so you can use an external drive if you need to store photos, etc. This computer is totally built for on-the-go, and is the perfect computer for Jordan. Last night, she was trying for an hour to get to the next level on the math game she was playing. Seriously people, that never happens. This computer has been a miracle for us! Kind of like how I made magic bar bark. It’s really a true miracle, how good it is. 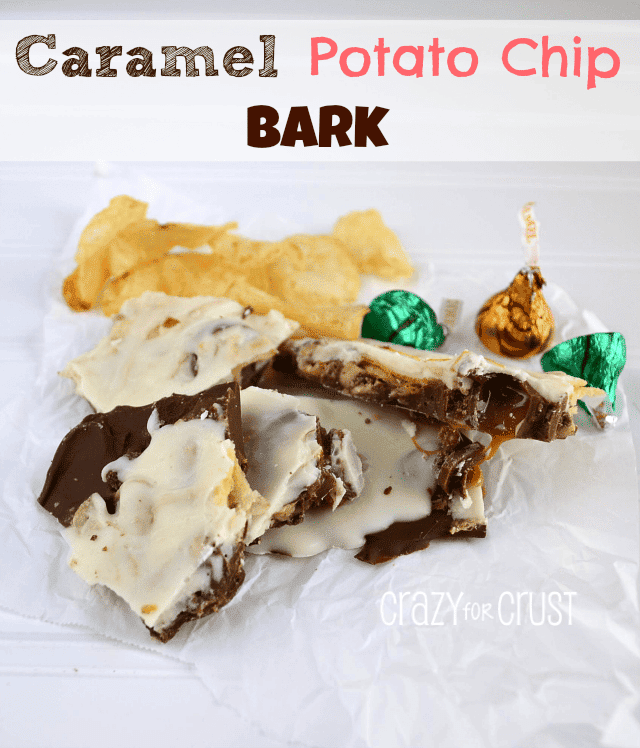 It’s like eating a magic bar…but it’s a bark. And it has to be way less calories without all that sweetened condensed milk, right? At least that’s what I’m telling myself. Luckily Jordan doesn’t know how to do a calorie count on her new computer. That would just be…wrong. To toast coconut and nuts: place them in a medium frying pan over low heat. Stir constantly until the coconut just begins to turn brown. Remove from heat immediately and place in a bowl. Set aside. Line a cookie sheet with waxed paper. 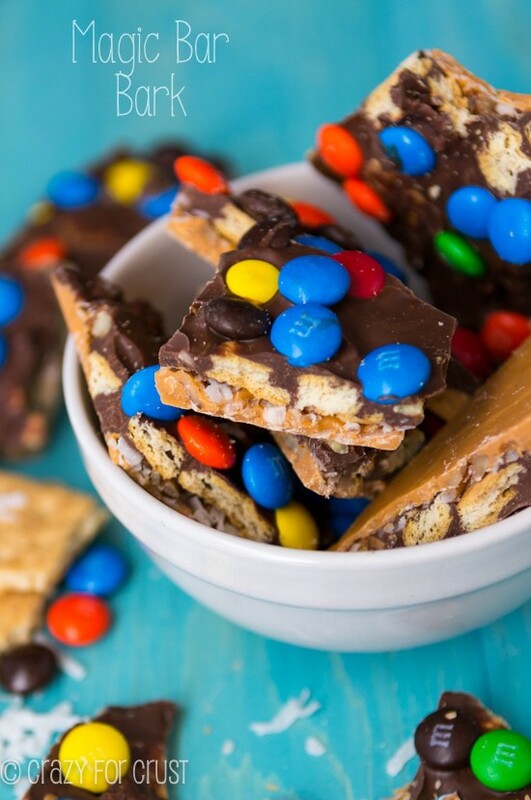 Melt butterscotch chips in a microwave safe bowl for 1 1/2 to 2 minutes, stirring every 30 seconds, until smooth. Sprinkle the coconut, nuts, and graham cracker pieces on top of the butterscotch layer. Press lightly with your hands to adhere the toppings to the candy. Melt the milk chocolate chips in a second microwave safe bowl for about 1 1/2 to 2 minutes, stirring every 30 seconds. Drizzle over the top of the bark and spread carefully with the back of a spoon or with an offset spatula, covering as much of the topping as possible. Let set in the refrigerator, then break into pieces. 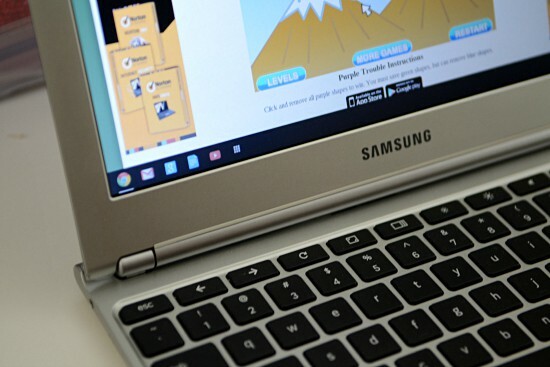 For only $249, this Samsung Chromebook would be a great last-minute Christmas gift. Find more about it, and the entire selection of computers on the Staples site. Staples provided me with the Samsung Chromebook to review. The review was not compensated. All opinions are 100% my own, of course. Especially the opinion that this bark rocks. That sounds like a great computer! The pic of Jordan blogging so sweet 🙂 She is well on her way, especially with this bark! 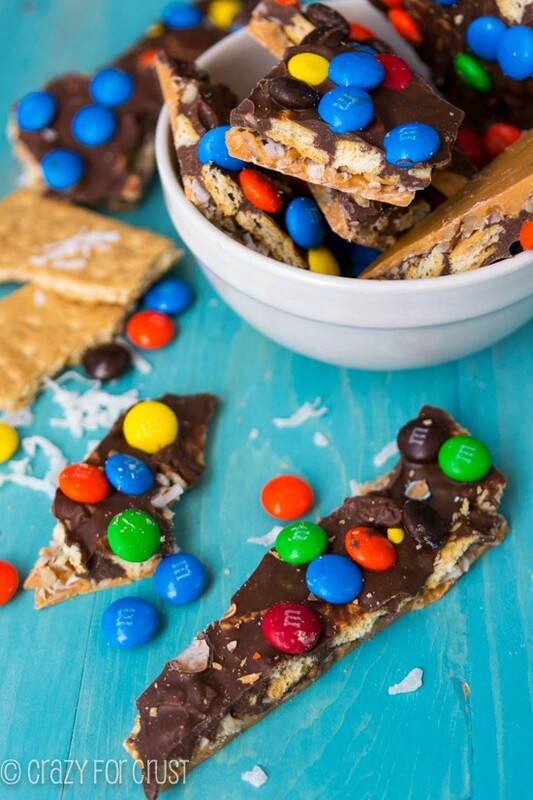 Taking magic bars and putting them into bark – level genius. Butterscotch and coconut sound amazing together! what a fun post Dorothy – Jordan is just so dang cute! 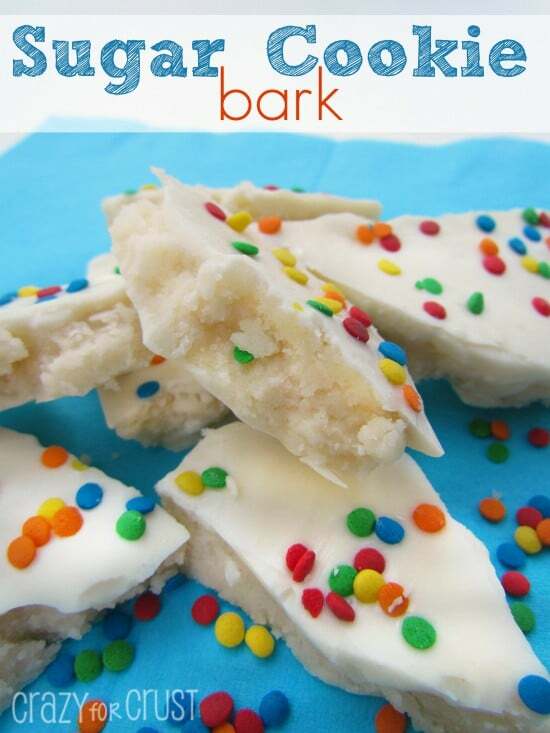 Thanks, Dorothy…that bark would be a fun treat to make with my boys this week when they’re out if school! 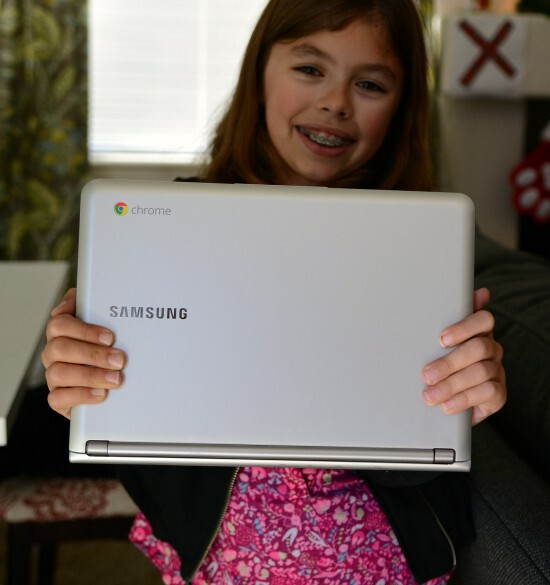 And the Chromebook looks perfect for kiddos (and adults!). My 6-year-old always asks me why he can’t play on my laptop but I’m with you…I prefer working on a computer free of crumbs and goo and who knows what else! I love that you combined these two great recipies!